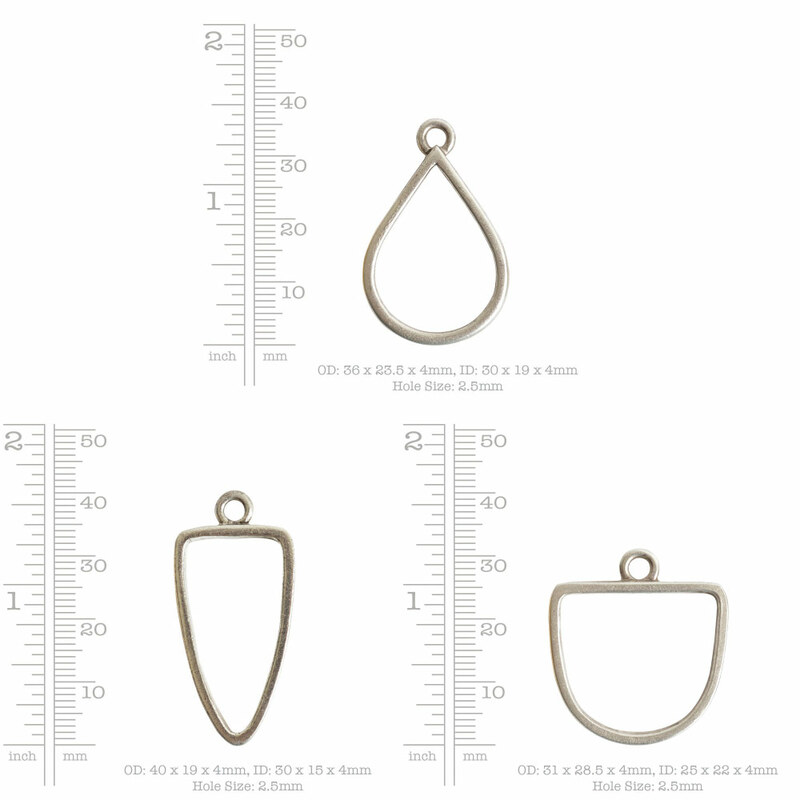 Open Pendants Combo packs consists of 4 bezels. One each of the 4 shapes per plate. 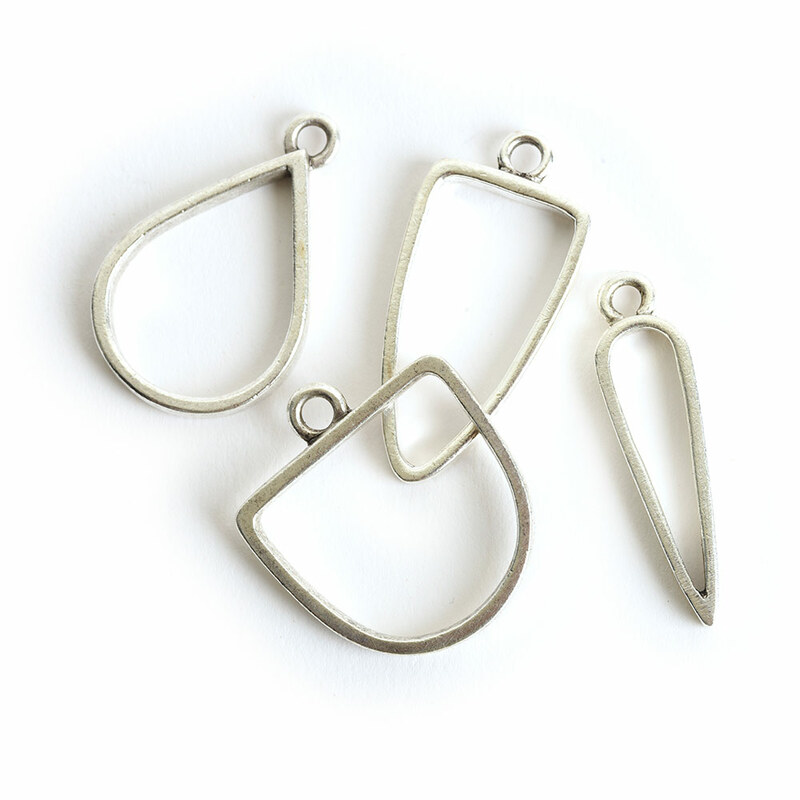 Open Pendant Bezels are cast in lead-free pewter and plated in copper, 24k gold and .999 fine silver. Made in USA.